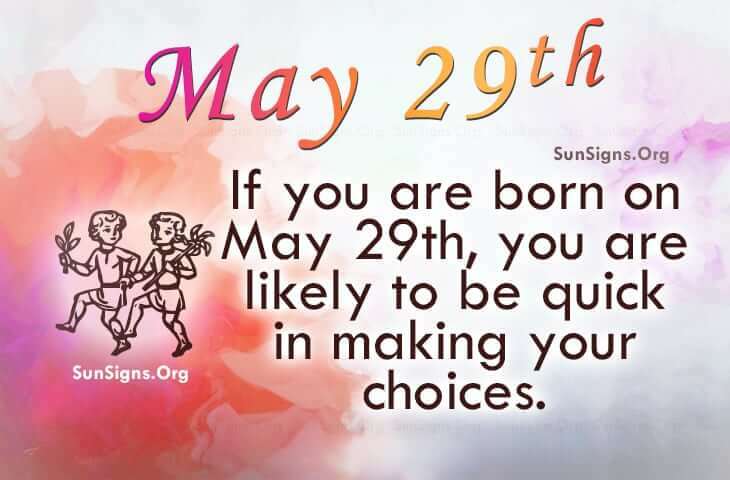 Famous people born on May 29, are likely to be quick in making their choices or they will either chat their way out of the most fascinating situations. They are flexible individuals and are known to take a risk or two. As a Gemini who is completely fanatical about keeping liberty and peace in their life, they tend not to commit as easily as others. However, when they do find that special person, they do give it their all. So, if you are interested in the person who was born on May 29, you will need to have your own life but be ready for this Gemini who requires a lot of “physical” activity. Famous people born on May 29 love to show affection even in public. They are hard working individuals but prefer to do a lot of assignments as opposed to doing only one task at a time. In addition, their family comes before their job. Famous people born on May 29 spend too much money trying to make themselves feel better. Gemini born on this day can be loud, absent minded and meddlesome. On the other hand, they are fun to be around. It is likely that they are passionately independent.